2002 Manufacturer X: We have finally made a revolutionary metal detector for you! 2003 Manufacturer X: Finally, new technology is expanding your horizons! 2004 Manufacturer X: Best engineers spent 3 sleepless nights and have finally created a small miracle! 2005 Manufacturer X: The detector can finally achieve even more depth! 2006 Manufacturer X: Now a new coil is finally capable of performing magic! 2007 Manufacturer X: Your wishes have finally reached us, and we have made this machine! 2008 Manufacturer X: It’s about time to surprise our competitor and deprive him of his sleep! 2009 Manufacturer X: God has finally sent revelation to our engineers, and we behold the light! 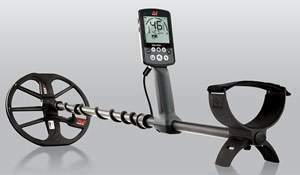 2010 Manufacturer X: Now you can simply add depth to your detector! 2011 Manufacturer X: Now you’ll be able to re-check the previously dug holes! 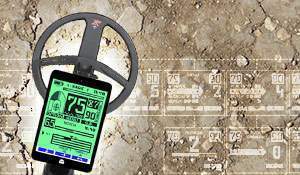 2012 Manufacturer X: The revolution in metal detecting world has finally arrived! 2013 Manufacturer X: This coil has finally appeared! 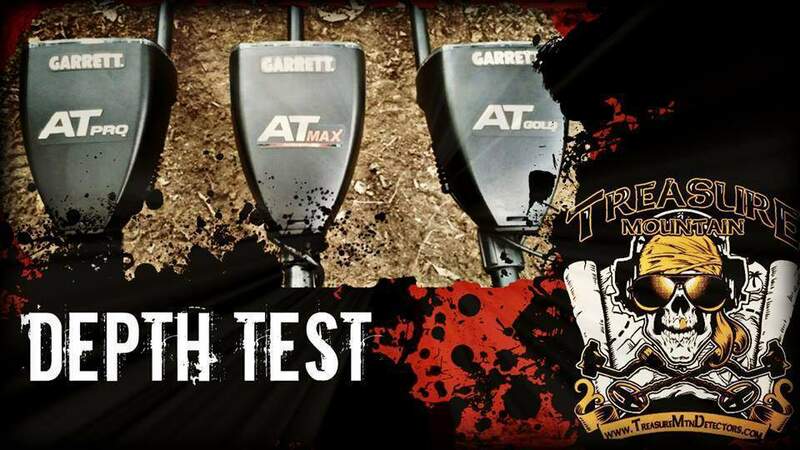 2014 Manufacturer X: Finally, we’ll provide you with depth that will enable you to drill through the ground! 2015 Manufacturer X: New technology has finally become available! 2016 Manufacturer X: 100,500 metal detectors are finally in one unit! 2017 Manufacturer X: The future has finally arrived! 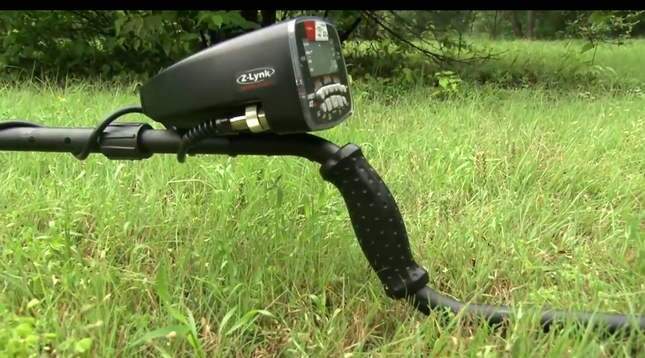 Do new metal detectors yield more finds than old ones? Yes, indeed. You need only to be able to tell about it reaching out to hobby enthusiasts – and they will be waiting in line to get a newly made machine. And the fact that the latter repeats their old devices’ features in a rather awkward manner doesn’t matter at all. 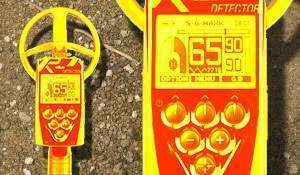 A few years ago, I was impressed by the price of the Minelab GPX 5000, when it was being sold for $7,000. 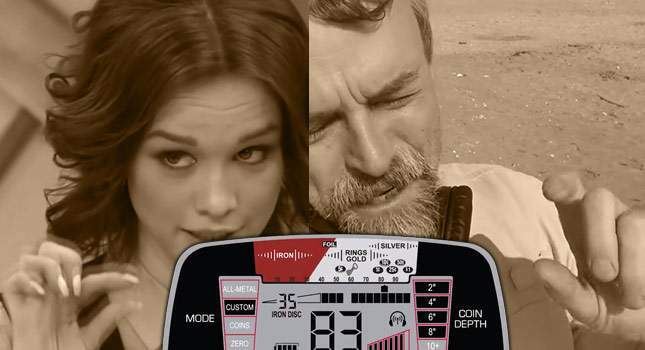 The detector costing seven thousand dollars! 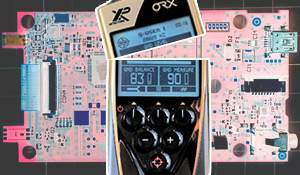 But now the Minelab GPX 5000 is priced at as little as $3,000. What has become of $4,000? 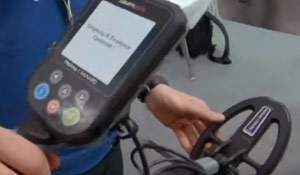 Maybe the technology has changed over the past few years, and the GPX 5000 has become out of date? What needs to be done to regain the previous higher pricing level? Right, it’s necessary to release a new metal detector. Built-in Z-Lynk™ Wireless Technology • Cut the cord! Integrated circuitry transmits audio to your wireless headphones. Six times faster than Bluetooth speed! Auto pairing. No cables, and no interference from other wireless devices. New Garrett MS-3™ Z-Lynk Wireless Headphones included • The speed of Z-Lynk Wireless Technology, and high-fidelity audio . . . with no cords attached! Maximum Detection Depth • Increased transmit power and enhanced electronics provides AT Max with significant depth increase. True All Metal Mode • Detects all types of metal and provides the greatest possible detection depth and sensitivity. Backlight • Illuminates LCD screen for improved visibility in low-light situations. 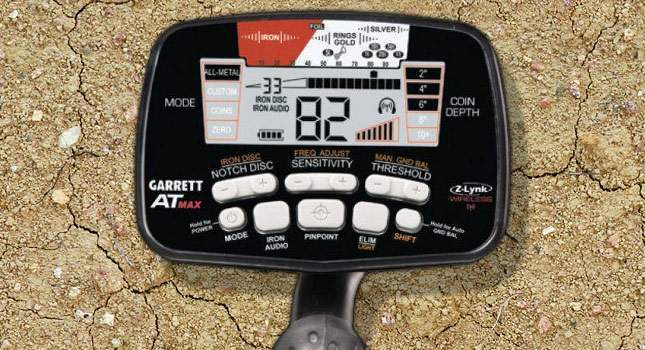 Optimized Frequency • The AT Max’s 13.6 kHz operating frequency provides excellent detection on a wide range of targets—including silver coins, gold jewelry, and brass relics. High Resolution Ground Balance • Automatic and manually adjustable for improved performance. Includes 175 points of Ground Balance resolution, allowing the AT Max to handle both conductive soils (such as saltwater beaches) and highly mineralized ground. 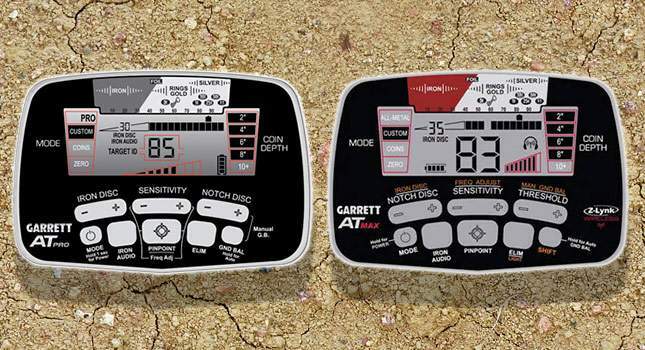 Automatic Ground Balance Window™ • Garrett Exclusive feature will simultaneously ground balance to a range of values to help overcome localized ground variations. By reducing subtle ground responses, the Automatic Ground Balance Window smooths detector audio and allows the user to hear faint targets. Larger Display Numbers • Digital Target ID number, Iron Discrim number, etc. More Controls • All easily accessible with a single finger as you search. Adjustable Threshold • User can manually adjust the audio threshold (the constant background sound or “hum”) to better hear faint targets. The Garrett AT MAX doesn’t have an STD mode, so nobody will be able to call it an updated version of the Garrett ACE (as often used to happen to the Garrett AT PRO). 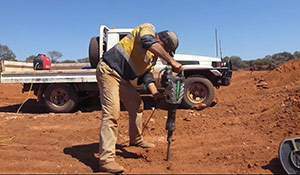 With the frequency getting higher, any metal detector faces the challenge with the detection depth – it becomes shallower. This pattern also works in an inverted way. An old Garrett AT PRO operates at a 15kHz frequency, the new Garrett AT MAX has a lower one – 13.6 kHz. Both detectors come with identical coils, although the manufacturer has promised greater detection depth. You think it’s just a coincidence? By the way, the Garrett AT MAX shares coil compatibility with the Garrett AT PRO. The difference between the Garrett AT MAX and Garrett AT MAX International versions is in the Middle Tone. The International version has a rather small mid-tone range, and it’s impossible to change the Middle Tone point. Don’t you feel very frustrated by the fact that the new detector doesn’t have volume control, do you? Maybe the unit will include this feature some day, but then it will be quite another Garrett machine. Where the heck is the new GTI. The 500 pound donkey in the room is wondering if the GTI 2500 is still the Garrett flagship machine? I agree, I want an updated GTI!!!! Put your AT Pro at the curb on trash day, send me your address. Possibly the most balanced and honest new detector review in years. Not once was the word “deeeep” used. While it is a nice machine with refinements it is obvious what is going on. I can’t really blame them since businesses need to sell their products and generate income. I do wonder about the name “AT Max”. Is this the end of the road for the AT series since it is “maxed out”? Garrett AT Gold Max Power. ok, you missed it because you missed it. It happens. Unless you grid off an area and detect both ways you will miss things just inches out of your coil path. You did not miss this because the AT Max had better depth or features. The necklace appeared to me to be less than an inch deep. An Bounty Hunter Jr. with a five year old swinging over this target would find this necklace. But then again, she is a Garrett rep. I was going back and forth on this detector. Is it enough improvement to get excited or is it jhust a rehash, remarked. I believe this is a fine blend and a step forward for the AT series. However when and if Garrett incorporates their imaging technology and even improves on it, if that is possible and adds it to one of their latest machines, I’d be way all over it. I’ll give the AT Max gets a nod, more enthusiasm than the subject line of this article indicates. When the GTI gets married to the AT Max then it will be THing heaven. OK let’s do it in 10′ of water! It is in the dark. Why did not make a fair depth test (Pro – Gold – AT-Max or Ace 400) with same 8.5 x 11″- Garrett coils? Evidence is required, this kind of promise is not satisfactory! Is the main volume control an impossible thing? And what about this nail board test? Would be necessary to improve! I think it’s great that they have incorporated the wireless technology but that was an obvious improvement. Wireless headphones will soon be normal on most machines. My biggest worry about this upgrade is the reduced htz.. Over here in England we have tiny thin hammered coins that a higher frequency picks up on most easily. Increased depth is fine as long as it hasn’t lost any sensitivity to such small targets. I would also like to see if it really does have an “improved” recovery or response time. I love my AT Pro International and have had some amazing finds with it. I will certainly be keeping an eye out for good reviews over here in the UK. Thanks to Garrett for the fun I have had with the AT Pro anyway! A 6.5khz Ace 250 will pick up small hammered, the frequency thing is a bit of a myth, my 13khz GM will pickup the smallest thin items, so don’t be too worried Just y take on it, time will tell. I think that’s a bit of a stretch to say. Many years ago a case could’ve been made for Garrett being one of the best, but they’ve stalled somewhere around the mid range in modern times. While many turn on and go people will find this machine satisfying, what it really was is a missed opportunity. The continued focus on single frequency VLF is going to catch up with companies like Garrett and Whites, and that day of reckoning is coming soon. 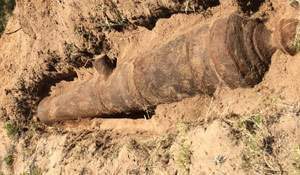 They will be very hard pressed to justify price tags around $750 for machines that are not nearly as capable as a $650 Minelab Equinox 600, or merely $100 less than an Equinox 800 that does even more yet. One thing is for sure, if that Equinox series is all it’s cracked up to be, and it does appear to be, both Whites and Garrett are in big trouble for their short sighted investments into single frequency rehashes. It’s hard to make a case that Garrett makes the “best” when they don’t really even make the best mid range machines anymore. The problem wit this “rant” is that it only takes into consideration one type of detectorist: those who have working machines that don’t really need to upgrade but who want the newest technology. There are plenty of other people in the hobby that Garrett is targeting. New people joining the hobby want uplated features and a nice machine. They want built in wireless headphones and volume controls/thresholds. Why would they want to settle for old machines that have flaws or shortcomings that could be fixed in the development cycles for new machines? I personally fall into a second category. I’ve been in the hobby for years but only own drl land machines. I’m looking to purchase my first water machine. Why wouldn’t I want the latest features to make my experience more enjoyable? It’s like buying a new car. They always say “don’t buy the first model year of a new design because they haven’t worked out all the links yet”. 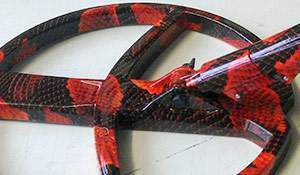 The same can be said for just about any type of product and that includes metal detectors. The product development life cycle just naturally works that way. What exactly do you expect them to do? Keep churning out the same old model that has known deficiencies? Ain’t it the truth! I used to be a skier and every year last year’s bindings were no longer safe. The sales people would predict that you were going to break a leg if you didn’t upgrade. At least with metal detectors we’re only going to miss out on some DEEP treasure and not break a leg! 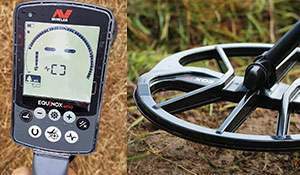 I am a first time buyer of a Metal Detector, new to the hobby. I’m an Old Techno Geek, and have researched Detectors for the past 4 months. 1. I want the latest features, for ease of operation. 2. Latest technology. 3. Price point for true value. 4. 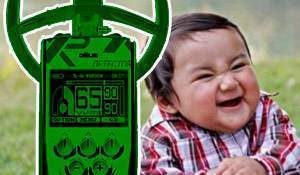 A detector I can find treasure with, so I won’t become bored, I need the physical exercise. This is why I am purchasing the AT MAX and the Pro-Pointer AT. The Waterproof Specs. (Submersible 10′) Are extremely important, as I live in Florida. 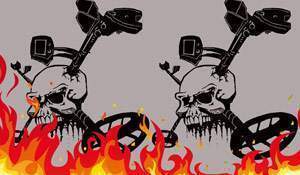 Thx to all for all your feedback, in a hobby that all have an Opinion about the Equipment…. I’ve owned the ace 350, AT Pro, AT Gold, XP Deus and just got the AT Max delivered today. The AT Max has everything I asked for from Garrett after owning the Pro and the Gold. I can’t wait to swing this thing. Believe it or not I got really frustrated and was as excited about detecting anymore after I bought the Deus. Sure it’s faster and somewhat deep but way to many adjustments and setup to have a good day detecting on every site. It doesn’t fit my hunting style and after researching the Max I bought it. 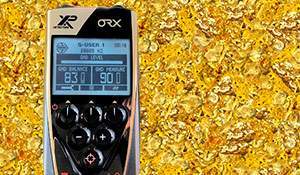 The best detector I have ever swung by far was the AT Gold and I miss that machine Everytime I take the Deus out. I’m a relic Hunter at heart and love the old coppers. My finds went way down with the Deus plus I couldn’t hunt the rivers in the area with war of 1812 history. The review on this page isn’t fair at all in my opinion. Maybe it the Garrett machines that really work in my area. I will give a honest and fair review of the Max on the popular forum I belong to. Good luck everyone. If the AT Pro coils are compatible with the AT Max, is it really 13.6khz? Why would a 15khz coil work on a 13.6khz machine – might as well go multi-frequency then, from 15khz to 13khz in 0.5kHz increments??? Or is this the next future iteration of the AT – the AT Max Multi, targeted towards the Equinox? Because the coils are the same , the detectors electronics which operate at a different frequency are tuned to the same coil. 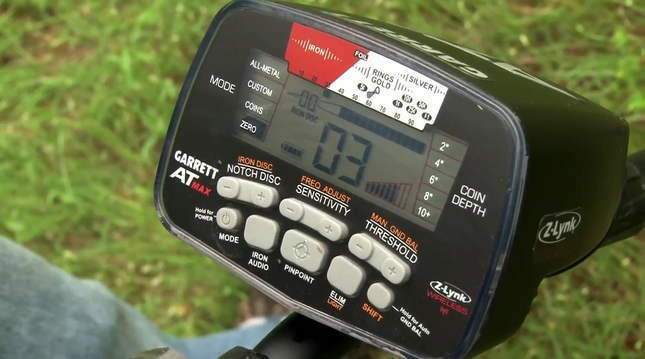 Why is Garrett still making the control boxes so big and bulky compared to minelab and others.I mean I don’t like them to be tiny but Garrett needs to make them a little bit smaller. Any thoughts on this? the box there was practically no place to put the cap in. better – more stable operation when battery is low. New detectorist with little or no experience in the hobby. Did my research and purchased the AT Max International and pro pointer. Still learning the machine. One comment would be that the mid tone is too narrow ( its an international model) lots of high tone hits that don’t pan out but inexperience plays a large part in that also. Still very happy with the machine. From my research Garrett addressed most of the users wish lists from the AT Pro. Only about 8 hrs on machine but already found a nice brass 1940s Dodge Ram hood emblem and a heavy men’s platinum ring. Yes a DEUS XP would have been nice but at twice the price for a decent set up with remote and full size headphones a little out of my league. 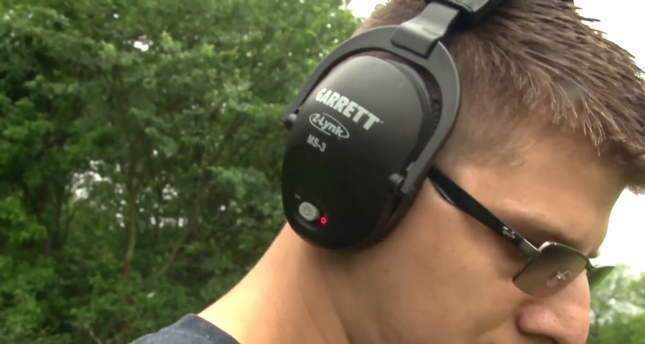 The new Minelab’s sound interesting but an 800 was still going to cost more than the Max. I say well done Garrett and for what it is worth it he Max is the perfect machine for my introduction into this exciting hobby. 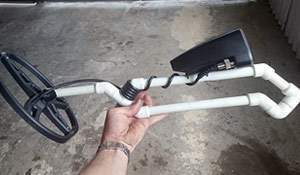 I think I’ll just stick with the at pro if I want it to be like the max I’ll just put a nel coil on it for a extra inch of depth ……..